Smart Rifle CEO and decorated veteran releases expert opinion on company vision for the future battlefield. NewAge Industries now offers its polyurethane tubing in three versions: unreinforced tubing, braid reinforced hose and a type developed specifically for pneumatics. Each offers the performance properties for which polyurethane is known including natural flexibility, durability, good chemical resistance and superior functioning in weather-related conditions. FANUC America Corporation has released a new YouTube video highlighting Engineered Machined Products (EMP), an Escanaba, Michigan-based manufacturer competing globally with the help of robotic automation. 10/28/13, 06:44 AM | Industrial Robotics | Servo2Go.com Ltd.
A feature of Nippon Pulse's popular and reliable stepper motors, which we have been manufacturing since 1960, is the ability to add reduction gearheads. These gearheads have a wide range of ratios, from 1/400 to 6/25. In all, there are over 20 different gear ratios to choose from, depending on the motor size. 10/26/13, 11:49 AM | Industrial Robotics | Electromate Inc. The new HPF Precision Hollow Shaft Planetary Gear from Harmonic Drive® was designed based on the popular HPG Harmonic Planetary® gearhead. The large coaxial hollow shaft allows cables, shafts, ball screws or lasers to pass directly through the axis of rotation. The HPF also incorporates a large output flange for mounting the driven load. The HSP and HWS handling modules are well suited for systems ranging from simple, single station lab solutions to high speed, high volume work cells. Forge joins an elite, international group of robotics solutions receiving Gamer Changer distinction at RoboBusiness 2013. 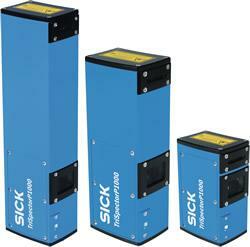 Users often select drive technology - pneumatic or electric - over hastily and on the basis of experience alone. In order to identify the most energy-efficient automation solution, however, a technology-neutral comparison is required. This is exactly the approach that Festo takes to achieve the most efficient mechatronic solutions for its customers. Fisnar Europe has just announced the launch of a new multi-tasking robot model F9960N and will be showcasing it this November at Europe's leading trade fair for electronic production.